Basemap for assessment and field team planning showing settlements, schools, healthcare facilities and road networks. 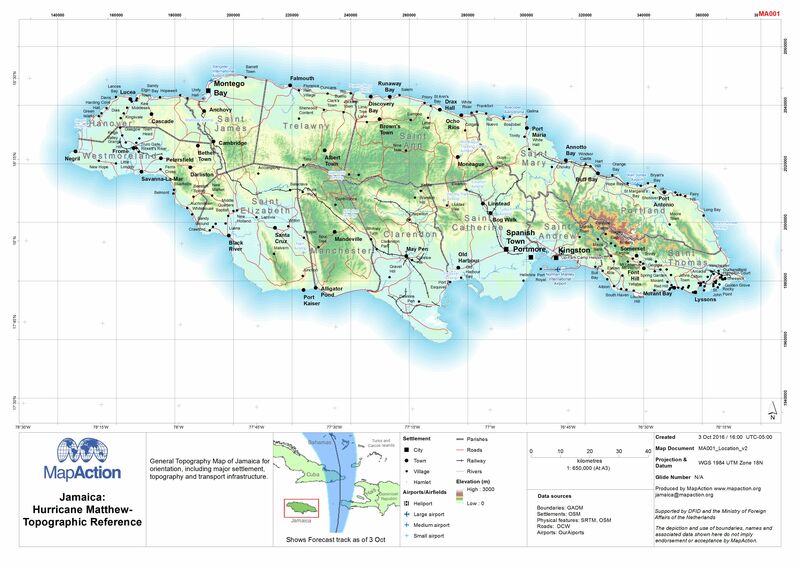 General Topography Map of Jamaica for orientation, including major settlement, topography and transport infrastructure. 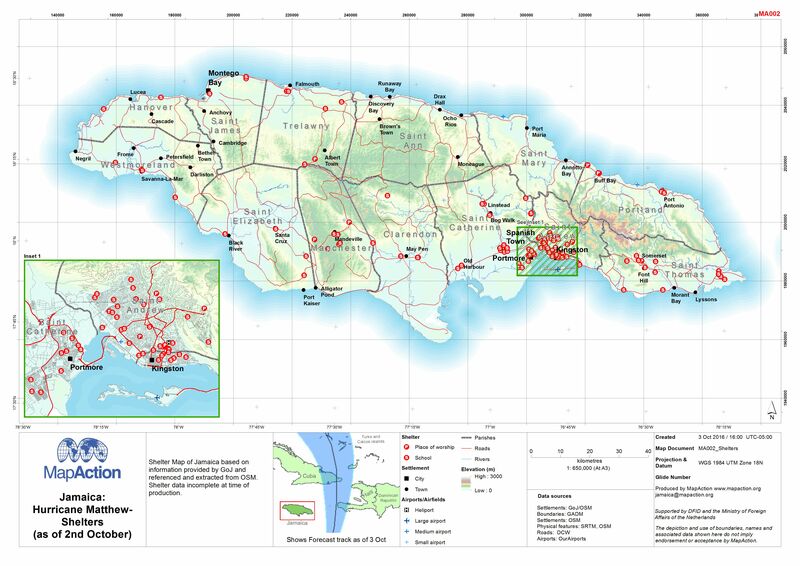 Shelter Map of Jamaica based on information provided by GoJ and referenced and extracted from OSM. Shelter data incomplete at time of production.